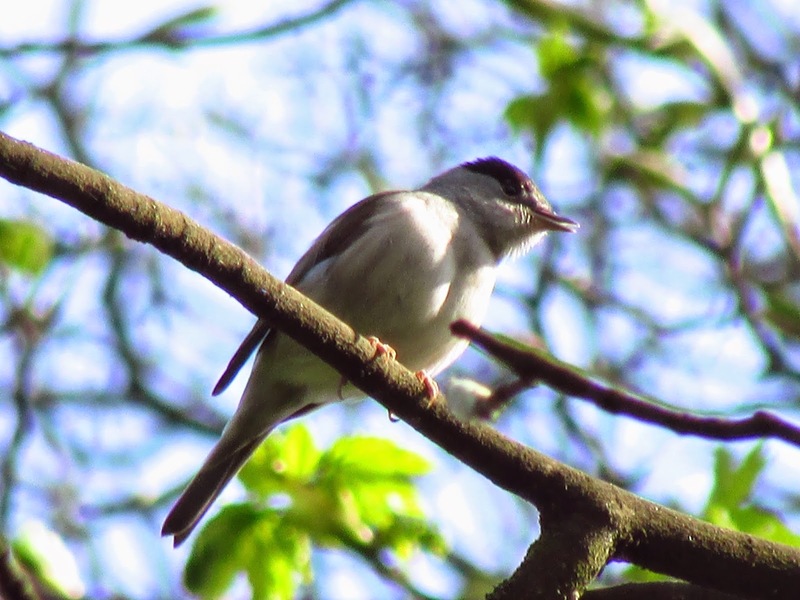 During April, Blackcaps return to thickets and woodland, where the male's beautiful song joins the resident birds. These Blackcaps have just arrived from their winter quarters in Spain and North and coastal West Africa. We tend to think of migration behaviour as something fixed, but recent research shows that many birds have recently changed their migration routes. One of these is the Blackcap. In the last 50 years or so, a small contingent of Blackcaps have started to winter in the UK. About 30% of gardens have a wintering Blackcap in recent years. Is it because these birds are staying here year round? Surprisingly not, they are migrants from the continent, mostly from Germany, where they breed. This migration behaviour has evolved in a few generations, with these birds taking advantage of milder winters, increased food availability in gardens and a shorter migration route. They usually migrate to Britain and Ireland as winter berry and winter temperatures drop at the beginning of the year. The direction in which blackcaps prefer to migrate is innate, strongly influenced by one or a few genes: the offspring of blackcaps migrating NW prefers to migrate NW, and the offspring of hybrids between NW and SE migrants have an intermediate migratory direction. Birds with both migration strategies coexist in South Germany and Austria. The different migration routes mean that they arrive at their breeding grounds at different times, and therefore tend to pair with birds with a matching migration strategy. The birds involved in the shorter Germany-UK migration trips have evolved shorter, more rounded wings than the Mediterranean migrants. In addition, they have slightly different plumage colour, with might also help them find the right mate. Bill shape is also different, possibly reflecting a different diet: birds wintering in the Mediterranean feed mostly on fruit, while British wintering birds rely mostly on fat and seeds in gardens. 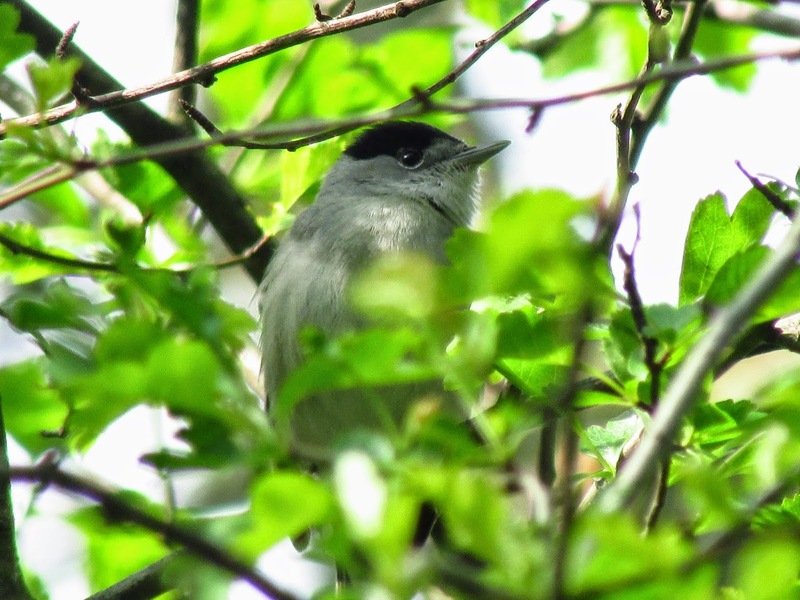 These differences are reflected in incipient genetic differentiation between blackcaps with different migration routes present in the same area during the breeding season, which could mean that both populations eventually become different species. 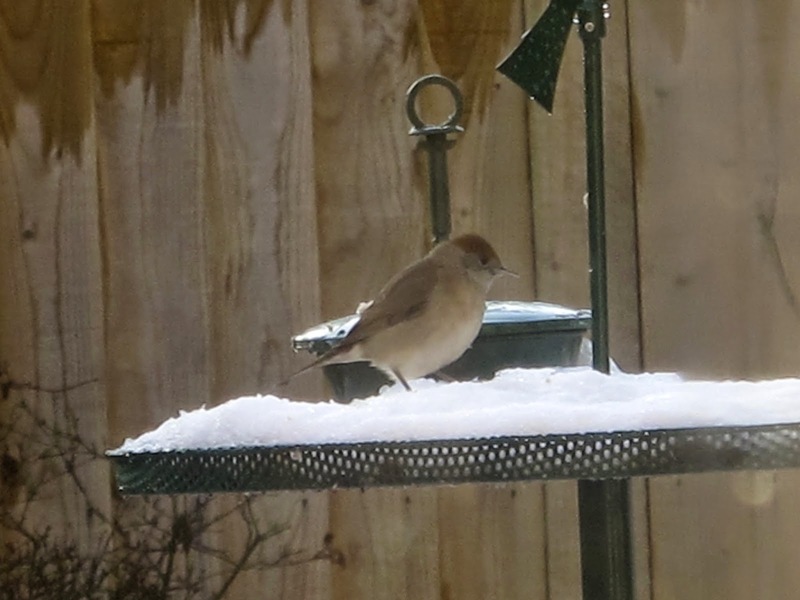 A wintering female Blackcap feeding in my garden. 26/1/2013. A summer migrant male singing today.